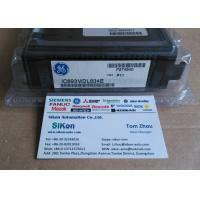 Home Companies SiKon Automation (Guangzhou) Co.,Ltd. If you Seek the Inquired GE Part From Our Website, Please Skype / Email us For a Quote. If you Didn't Seek the Inquired GE Part From Our Website, Also Pls Skype/Email us For a Quote. IC693MDL740CA Conformal Coated Output module 12/24 VDC 0.5 amps 16 points POS logic. IC693MDL740LT 12/24 Vdc Output, 0.5 Amp, Positive Logic (16 Points) Low Temperature Tested. IC693MDL741CA Conformal Coated Output module 12/24 VDC 0.5 amp 16 points NEG logic. IC693MDL752CA Conformal Coated Output module, 5/12-24VDC, 32 point NEG logic. IC693MDL753CA Conformal Coated Output module, 12/24VDC POS logic, 32 points. Interfaceis Fujitsu connector. IC693MDL754 12/24VDC Output (0.75 amps per point) Module 32 point. The module requires a terminal block (IC694TBB032 box style or IC694TBS032 spring clamp style terminal block). Terminal block is sold seperately. Output response Time is 0.5ms. IC693MDL916 Output module, Isolated Relay, Normally Open, 4 Amp, 16 point. Requires High Density Terminal Block (IC694TBBx32 or IC694TBSx32). Compatible with RX3i and Series 90-30. IC693MDL940CA Conformal Coated Relay Output module 2 amp, non isolated 16 points. IC693NIU004CA Series 90-30 Ethernet NIU Conformal Coated. 10/100Mbit Ethernet. IC693PCM300 Prog. Coproc. Mdl., 160 KB (35 KB Basic Prgm), w/Port Exp. Cbl. IC693PCM301 Prog. Coproc. Mdl., 192 KB (47 KB Basic Prgm), w/Port Exp. Cbl. IC693PCM311 Prog. Coproc. Mdl., 640 KB (190 KB Basic Prgm), w/Port Exp. Cbl. IC693PIF350 Series 90-30 I/O PCI Bus interface board. Enables users to connect Series 90-30 I/O to a PCI interface board. IC693PWR321 Power Supply, 120/240 Vac, 125 Vdc, Standard, Battery not included. B attery is now included in the CPU backplane box. IC693PWR321CA Conformal Coated Power Supply 120/240VAC, standard. IC693PWR322 Power Supply, 24/48 Vdc, Standard. Battery not included. Battery is n ow included in the CPU backplane box. IC693PWR328 Power Supply, 48 Vdc, Standard. Battery not included. Battery is now included in the CPU backplane box. IC693PWR330 Power Supply, 120/240 Vac, 125 Vdc, High Capacity. Battery not include d. Battery is now included in the CPU backplane box. IC693PWR330CA Conformal Coated Power Supply 120/240VAC 125VDC, added capacity. IC693PWR331 Power Supply, 24 Vdc, High Capacity. Battery not included. Battery is now included in the CPU backplane box. IC693UAL006RR 23pt DC In/Relay Out/DC Out/2 AI/1 AQ, AC Pwr. Sup. IC693UDR010RR 28pt DC In/Relay Out/DC Out, DC Pwr. Sup. IC693UEX011RR 14pt DC In/Relay Out, AC Pwr. Sup. IC694ACC300 Input simulator module, 16 points. IC694ACC311 Terminal blocks, 20 terminal (qty 6) for IC694xx I/O modules only. IC694ALG220 Input module, analog 4 point voltage. IC694ALG220CA Conformal Coated Analog Input Voltage module, 4 channels. IC694ALG221 Input module, analog 4 point current. IC694ALG221CA Conformal Coated Input module, analog 4 point current. IC694ALG222 Input module, analog 16 point single ended/8 channel differential, voltage. IC694ALG223 Input module, analog 16 point single ended, current. IC694ALG223CA Input module, analog 16 point single ended, current. IC694ALG391 Output module analog 2 points, current. IC694ALG391CA Conformal Coated Analog Current Output module, 2 channels.